#2 – 1290 Sturdies Bay Rd. 11:30 am to 1:00 pm, at the Galiano Island Library. Fee: $75, payable on first day of class. 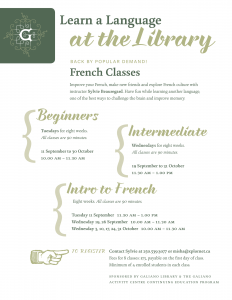 Improve your French, make new friends and explore French culture with instructor Sylvie Beauregard. Have fun while learning another language, one of the best ways to challenge the brain and improve memory. 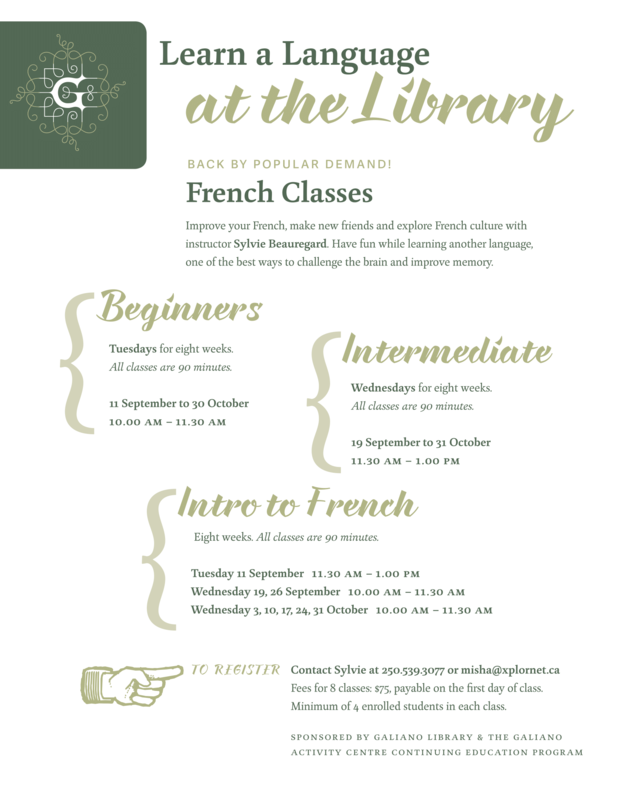 Sponsored by Galiano Island Library and the Galiano Activity Centre Continuing Education Program.